As a photographer, I'm often asked how I manage to get my nature shots - but often it's not the specific technical info they are seeking. 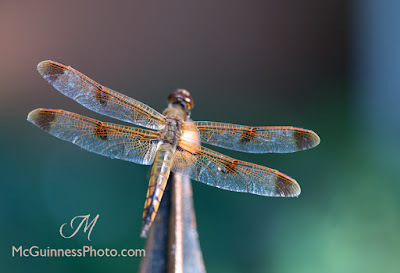 Most of the time, I grow what I photograph, and the additional perks that come with that include all the birds, insects and creatures that are attracted to my garden. I do not use pesticides. One result is a flourishing population of dragonflies. 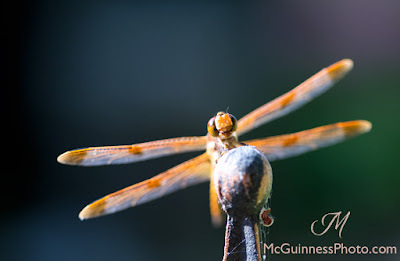 Click to enlarge to see this dragonfly's smiling face. When I was a teenager, I was fascinated by Claude Monet's paintings. One of his quotes has always stayed with me: "I perhaps owe having become a painter to flowers." In my case, I would say flowers have made me a photographer. 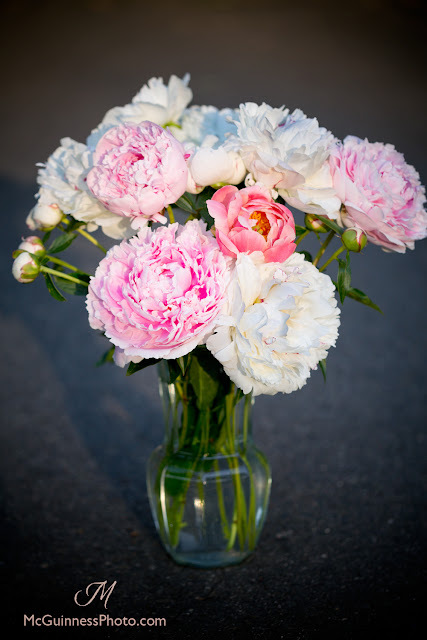 Before I knew anything about taking a good photo or even growing plants successfully, I would take my 35mm film Nikon camera to the nursery and photograph flowers as my mother shopped. I'd take it into the garden in Queens and photograph the roses my father grew. Most of the photos I took then were thrown away, and I was lucky to have parents who humored my interest and continued to buy me film (until I got carried away one year and had to begin paying for the developing myself). I've held on to one or two photos from then where I even surprised myself with how well they came out. I try to encompass the variety of colors that can be found in a landscape. My style isn't in muted hues, even though I admire the work of other photographers who do so. I enjoy the unexpected - the photographs were it looks like a crayon box spilled onto the page. 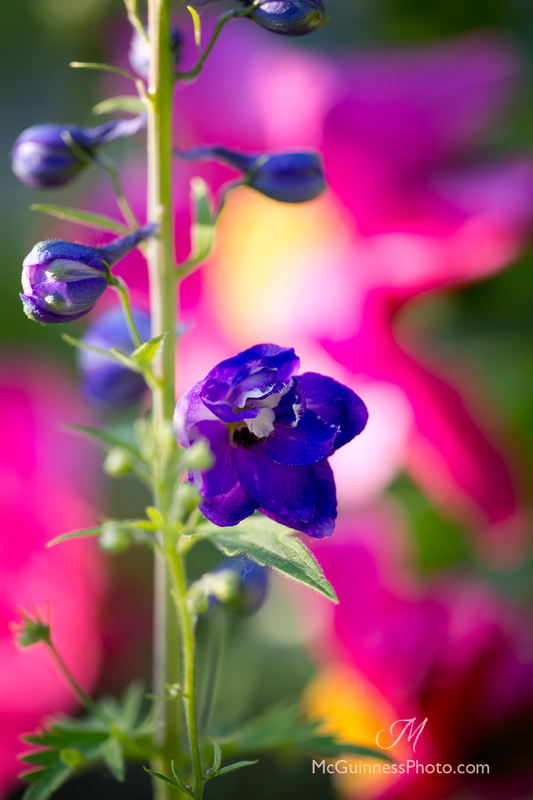 The beginning of the delphiniums with peonies in the background. Which isn't to say the pastel flowers do not catch my eye as well. 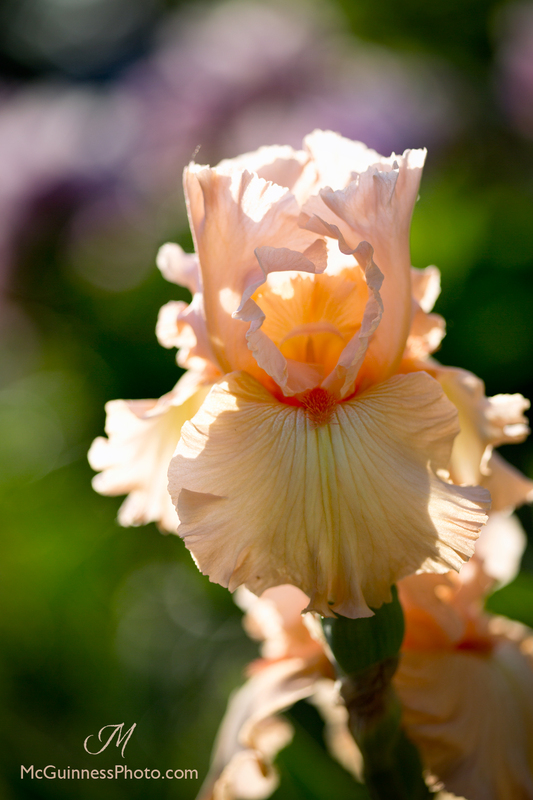 The last of the irises. This is by far the best year for peonies to bloom in my garden (now in its sixth year of development). I was even able to bring in several to enjoy indoors. How can anyone manage to ignore the beauty of nature, especially when it is right outside the door? 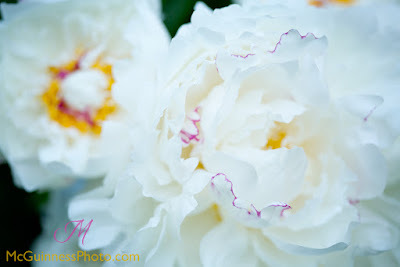 The best year yet for cut peonies to bring indoors! 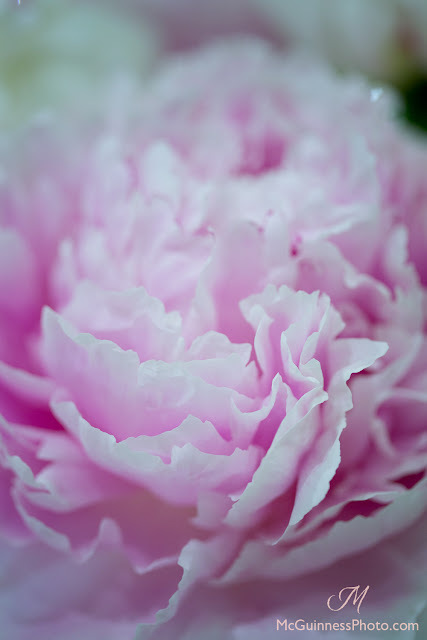 Peony by the front door. "My garden is my most beautiful masterpiece," said Monet. I agree - and sometimes photos just do not do it justice. 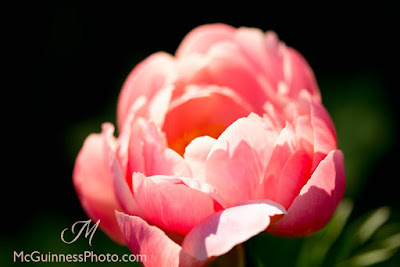 What is blooming in your garden this week? 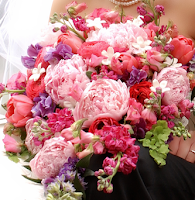 My friends on Twitter have lovely flowers blooming as well. Check out Helen's garden here as featured on Beth's website. For more floral love, be sure to follow the #GrowNow2015 hashtag on Twitter.